Petite 4.5 ft. 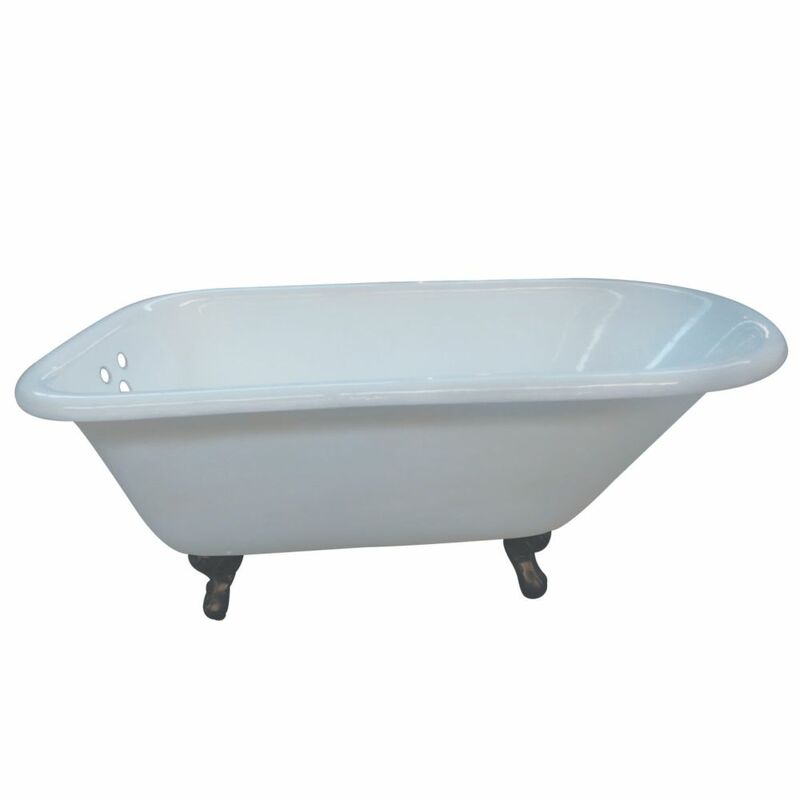 Cast Iron Oil Rubbed Bronze Claw Foot Roll Top Tub with 3-3/8 inch Centers in White This 54 inch cast iron bathtub is perfect for those who want to place a tub in a smaller space and still enjoy all the benefits cast iron has to offer. The classical roll top tub adds a vintage touch to your home bathroom. With timeless styling and ornate tub feet, this tub will provide warmth and durability because of its cast iron construction. With 3-3/8 inch faucet drillings on the tub wall, the tub filler can be mounted directly to the tub.